Gamal Abdel Nasser was arguably one of the most influential Arab leaders in history. As President of Egypt from 1956 to 1970, he could have achieved a peace agreement with Israel, yet he preferred to maintain his unique leadership role by affirming pan-Arab nationalism and championing the liberation of Palestine, a common euphemism for the destruction of Israel. Drawing on recently declassified primary sources, Michael Sharnoff thoroughly inspects Nasser’s post-war strategy, which he claims was a four-tiered diplomatic and media effort consisting of his public declarations, his private diplomatic consultations, the Egyptian media’s propaganda machine, and Egyptian diplomatic efforts. 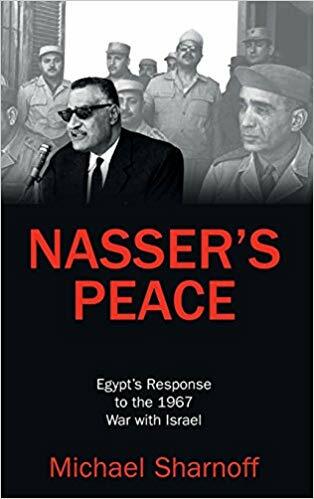 Nasser manipulated each tier masterfully, providing the answers they desired to hear, rather than stating the truth: that he wished to maintain control of his dictatorship and of his foothold in the Arab world. Order your copy in Hardback or eBook on Amazon and Taylor & Francis! —Juliana Geran Pilon, The Alexander Hamilton Institute for the Study of Western Civilization (Read the full review here). Check out this Q&A discussion on the analysis of the book, and lessons learned for the contemporary period.